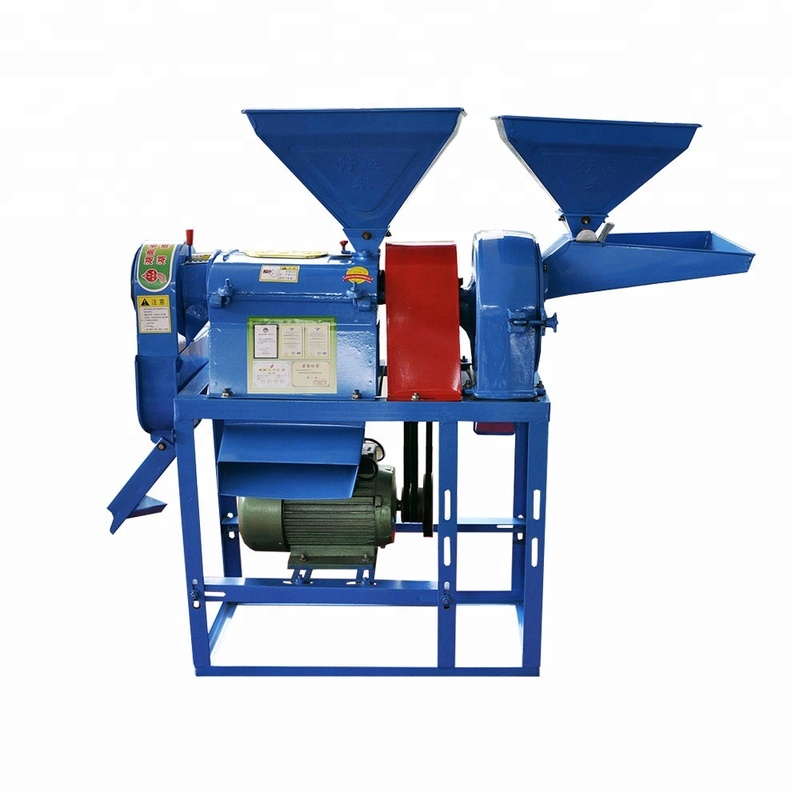 1.Rice mill and grinder machine can be used for multiple purposes,It can be used for grain peeling or grain grinding which can meet the family’s rational use requirements. 2.One motor drive 2 devices to save the cost,power configuration is convenient, rice mill and grinder machine can be driven by electric motor, also can be driven by gasoline engine,diesel engine. 3.Rice mill machine can match different size of rice sieve (optional 0.7mm, 1.0mm, 1.3mm), So that can process different materials;The optional screen size of the rice grinder machine is 0.2-0.6mm.the finished size can choiced by customer. 4.Matched with automatic transmission belt conversion device, the switch handle can adjust rice mill and grinder machine working ,it can ensure that the grinder is not working when rice mill working.or when you grinding materials ,the rice mill will not working. 5.The rice milling and grinder machine with small size, easy to transport and move, rice mill barrel and meter adjustment device, Using advanced technology to achieve good-looking, applicable, sanitary effects,wear-resistant.